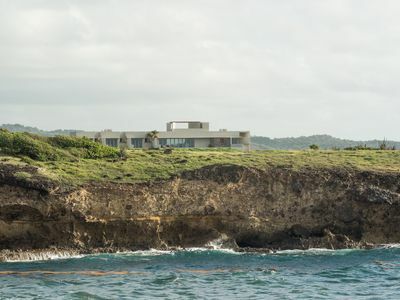 Villa Tabanka is a Large Contemporary-Tropical Chic style Villa with views of beautiful Marisule bay, the Caribbean Ocean, Cruise Liners by day, the most breathtaking, uninterrupted view of the Caribbean sunset and at night the amazing site of the twinkling city scape will take your senses away . 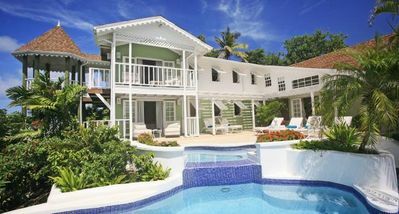 The villa is nestled above the beach front line Calabash Cove Hotel with its extensive menu and Olympic size swimming pool. Villa Tabanka is a two level villa. Both levels are private and rented out seperately or together for larger groups. Unit 1 (lower level) offers two large en-suited bedrooms 1 with a super-king bed, and 1 with twin beds which can be zipped together if required. Roll away folding beds can be set up for 2 extra guests. 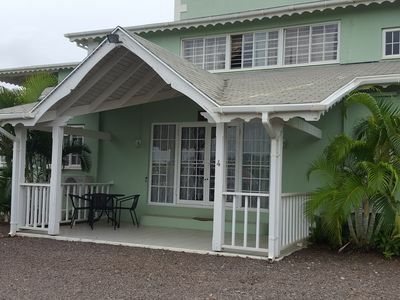 Each bedroom offers, AC units, ceiling fans, large wardrobes, a lounging chair. 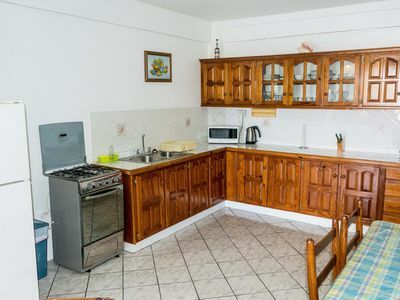 The Villa comes fully equipped with its extra large open plan, gourmet kitchen with indoor and outdoor eating areas and flat screen tv. 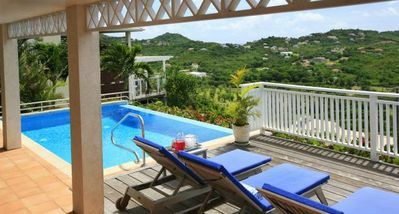 All rooms and bedrooms in the Villa open by glass sliders or wooden doors onto a 1,000q foot deck with sun lounge chairs, and its private plunge pool. 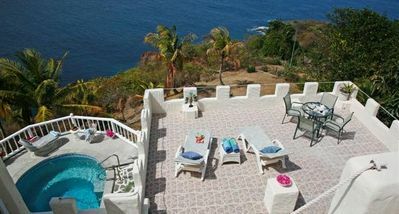 Each vantage point offering spectacular views of the Caribbean Sea and perfectly manicured floral and cactus extensive gardens. 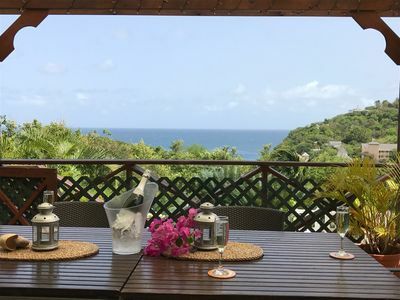 Surrounding the Villa is a 10 minute stroll to the beach or 5 minute walk to the Hotel below to its restaurant and pool (pay as you use its facilities by private arrangement). 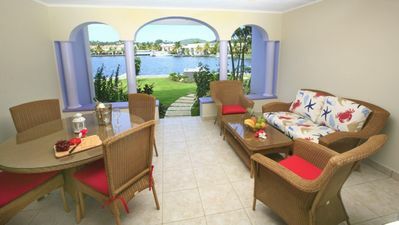 20 minutes coastal walk will get you to Windjammer beach Resort and its water sports. 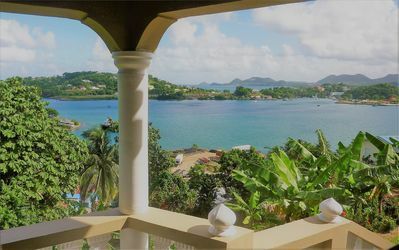 The villa is a 15 minute walk down to the beach, to a local supermarket and Grand Rivere Village traders with freshly pressed cane juice and sumptuous tropical produce lining the route to the supermarket and off-licence. 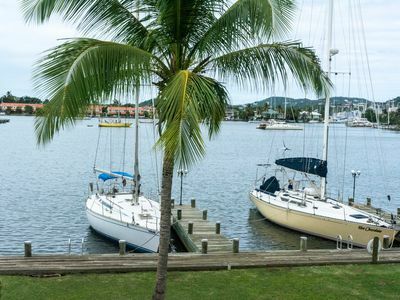 Restaurants, banking, bakery, shopping and nightlife are all a short bus ride away from this supermarket and are all located in the vibrant Rodney Bay and Rodney Bay Marina. Sumptuous local cuisine can be experienced for a decent price either at “The Grill” or at “Bottle and Spoon” All within close proximity of Villa Tabanka. 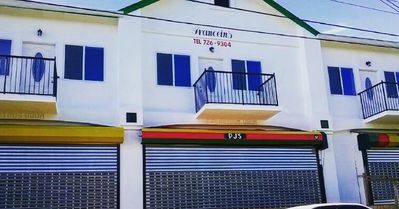 In the opposite direction but only a 15 minute bus ride you will be delighted with Pointe Seraphine Duty Free Port for all your shopping needs. 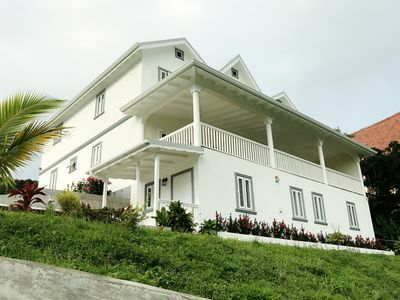 It is here where you will find the ONLY 100% St Lucian Coffee House on the island and is an experience worth writing home about. 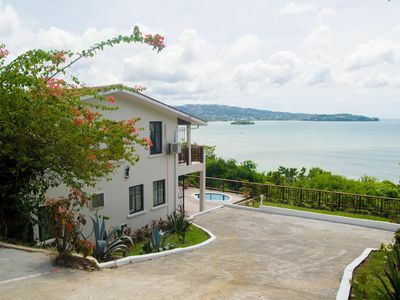 An elegant retreat within its own acreage, set within the relaxed natural setting of picturesque Marisule located between Castries and the vibrant Rodney Bay. 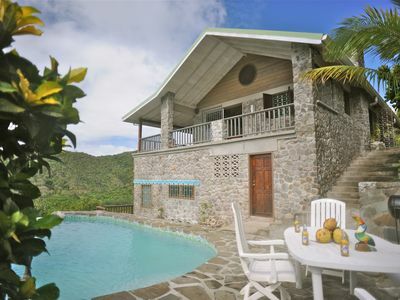 Villa Tabanka could be your 1st, 2nd and beyond Honeymoon Vacation in Paradise. Stroll around the vast private landscaped gardens or order in full SPA call in service to be either pampered within your room, or on the decks, are all just a little something more to treat yourself to. 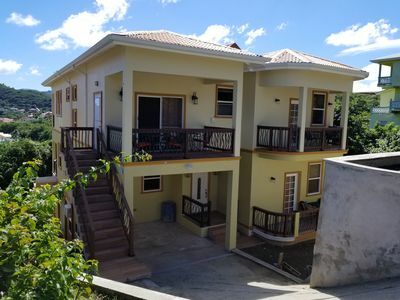 Whether it's a wedding, honeymoon, special anniversary or family and friends get together, Tabanks Villa is there for you to enjoy and remember. 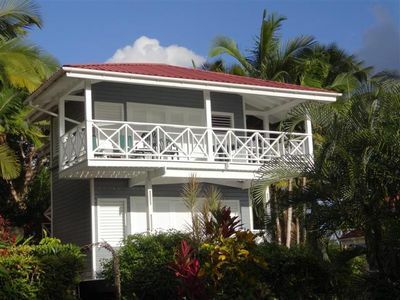 Enjoy the space, the peace and quiet and the lush tropical surrounding of this elegant retreat. 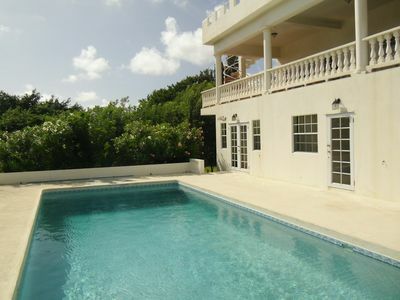 Spacious, updated, peaceful villa with Alexa, staff and pool. 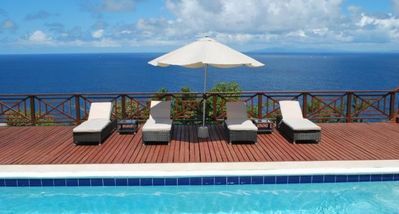 Ocean View One Bedroom Apartment - Newly Built! 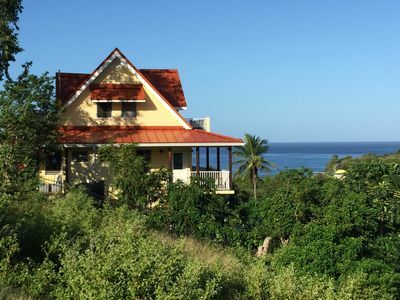 Villa with a view of the ocean only 4 min walk from the beach! 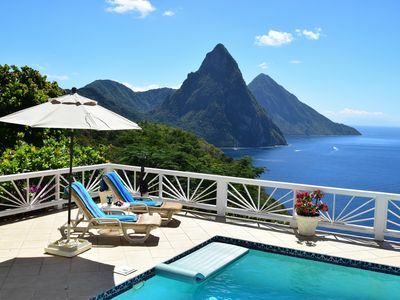 Better than home, it's in St. Lucia!